Raise a handcrafted ale as you dance the polka! 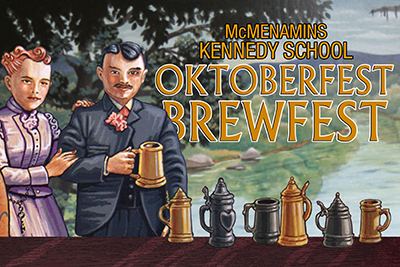 Indulge in German fare while you celebrate with a whopping two dozen German-style craft beers from McMenamins & local guest breweries. In the spirit of friendly competition, we’ll take your vote for the best brew at Oktoberfest and the winning brewery will be graced with the trophy.